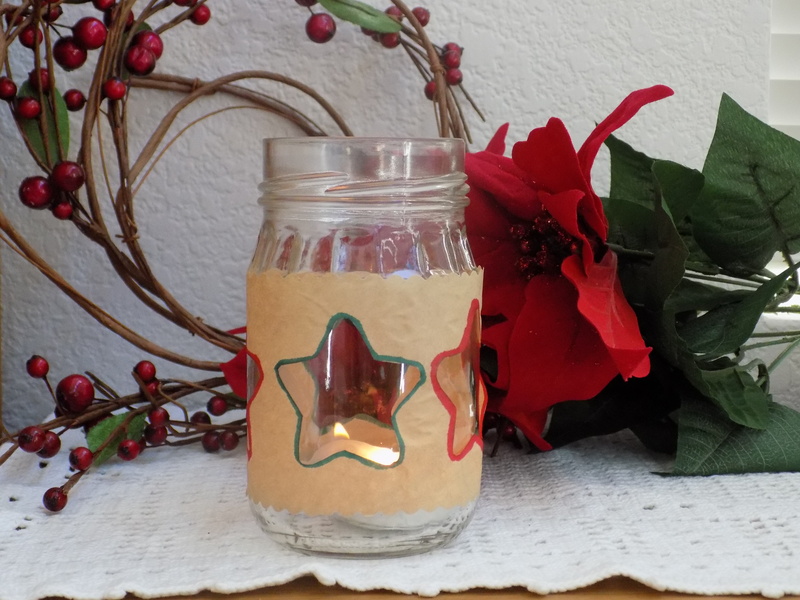 Second craft of the second Christmas Craft Day on Gazette665 in 2016! 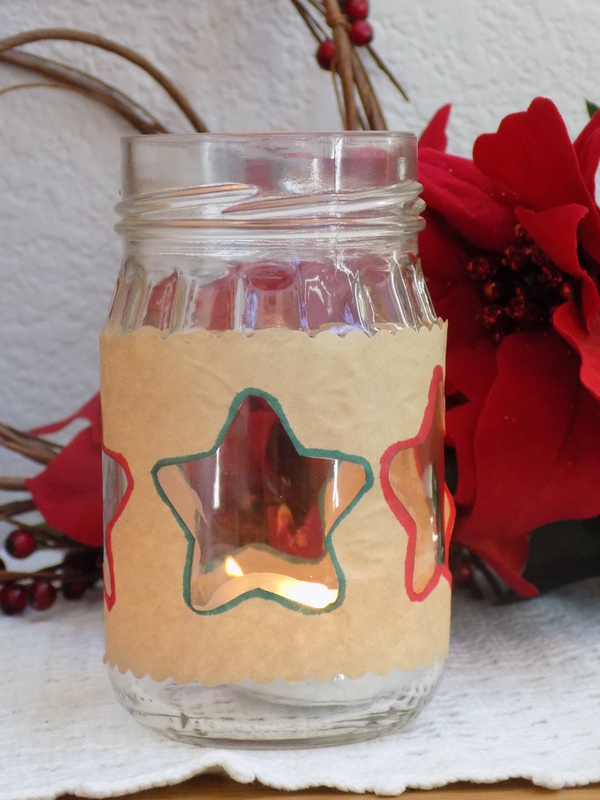 Though it’s not a project mentioned in “The Christmas Sermon”, this “old-timey” decoration could’ve been created during the Civil War era. Candles or oil lamps were still a main lighting source, though city/town homes often had gas lighting. 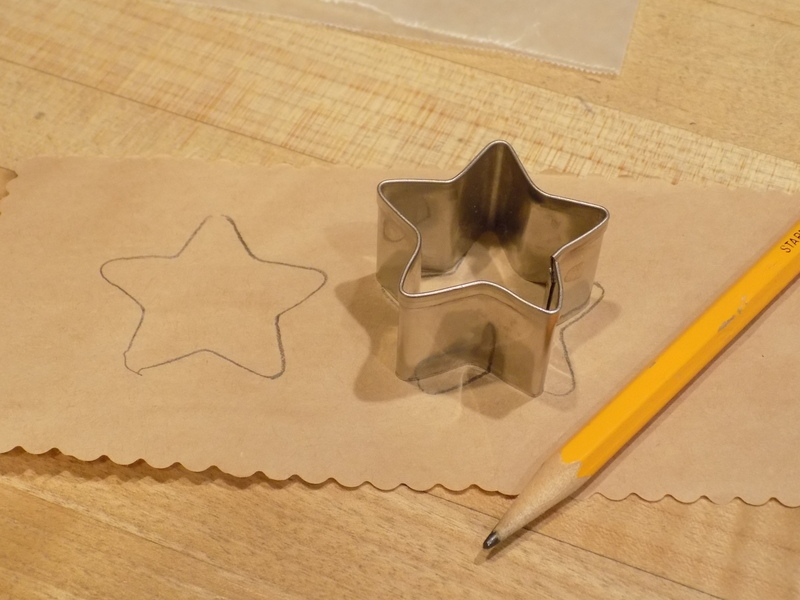 Trace the star stencil or cookie cutter onto the paper, spacing evenly. 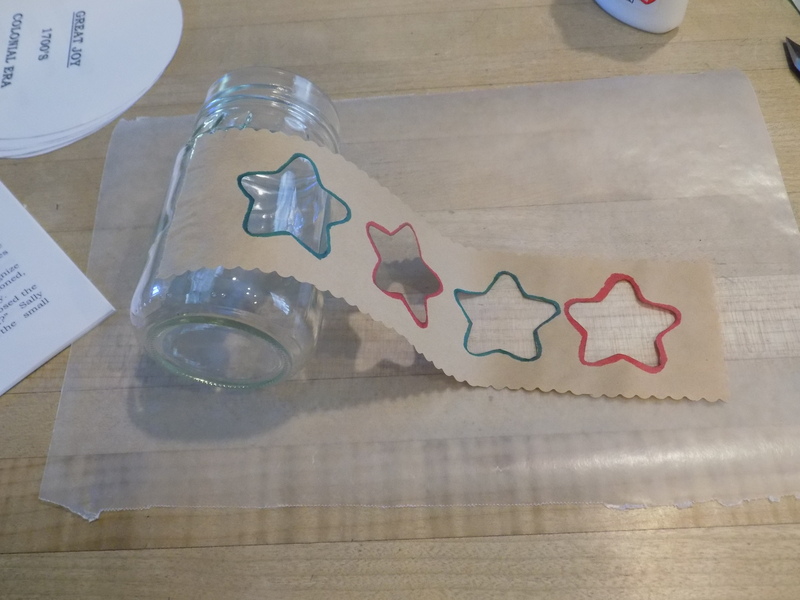 Carefully cut out the stars. 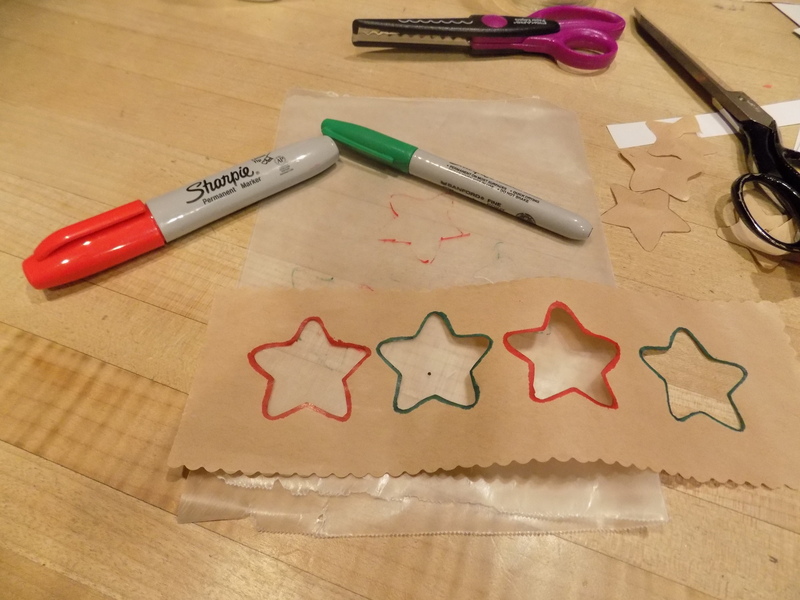 Trace the star cutout edges with red and green pen. 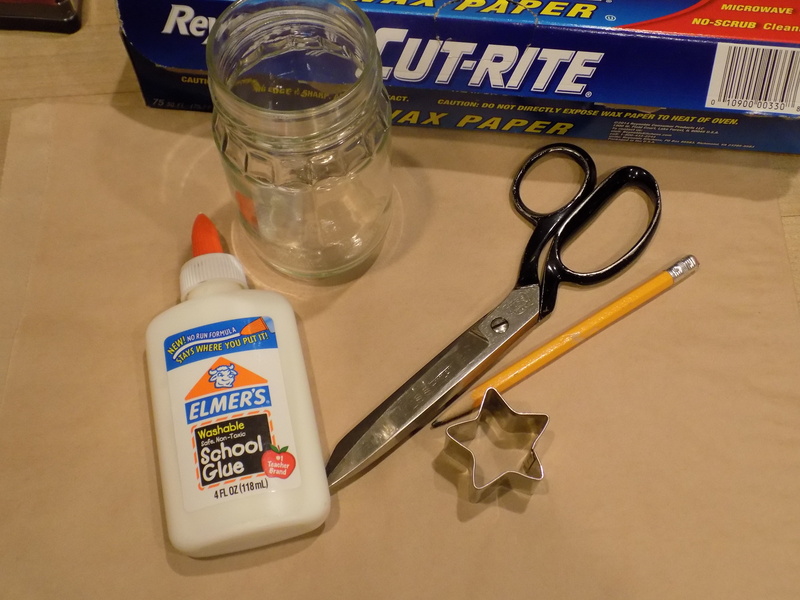 Glue one short edge of the paper to the jar. Let it dry. 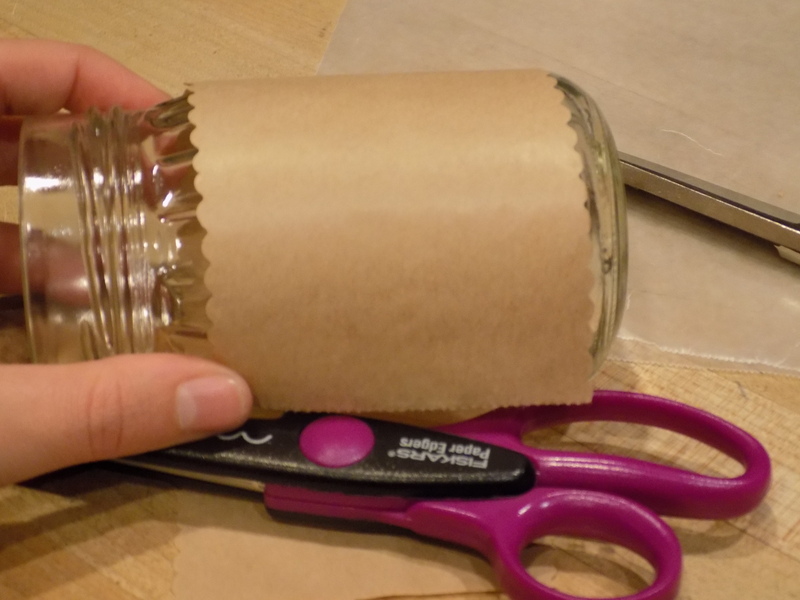 Apply glue to the rest of the paper and roll it onto the jar. Press and smooth. Let it dry.